KideeChildcare. A daycare which provide the needs of the parents for nurturing their children while their parents are working. Every parent wants to give the best for their children, and also want to be close with them. Some parents feel worry when they have to leave their children with the nanny. Questions arise regarding their children while in nurturing, “How’s today meal? Was it thorough or not? How long they’ve slept? What games did they play today? Were they watched television all day long? Did the nanny treat them with care and passion?” Those worries combine with the distance between office and home that you have to go through each day, not to mention the traffic; will reduce your quality time with your children. With all those problems parents have, we’re trying to come up with the best solution there is. 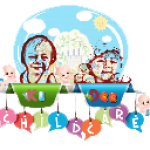 Located in the heart of Jakarta business location, KideeChildCare provide you with environment like nothing else. A homey place, with a very good air circulation, safeties, cleanliness, comfort, and education makes us different with any other place. With a stage of children development program (from 0-4 years), KideeChildCare focuses on motor sensory nerve, whether it’s fine or gross, visual, and verbal communication, which are gives through many activities, an interesting activities instead of boring learning. You children will feels like home and have the best suited stimulations for themselves. Copyright © 2019 KiDeeChildCare. All Rights Reserved - KiDeeChildCare (2013) .